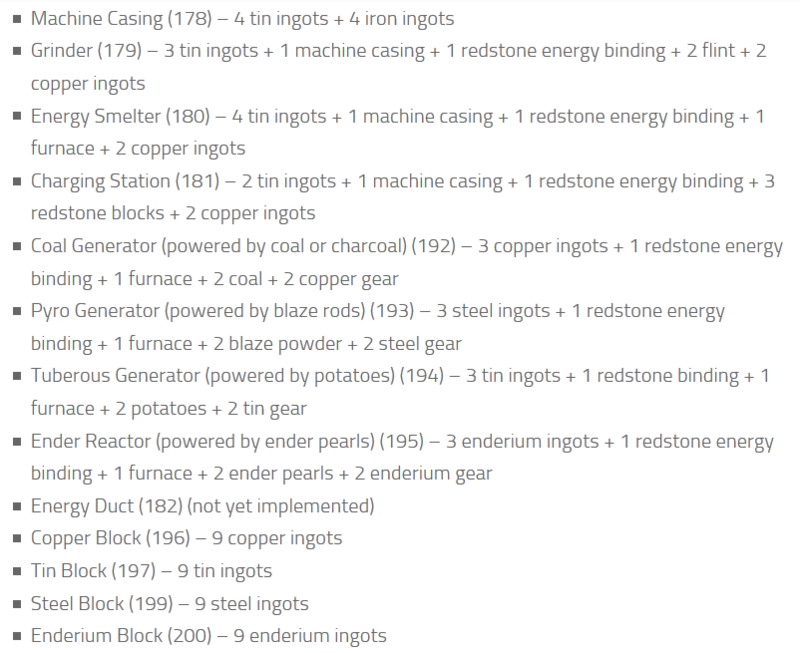 NerdCraft 2 mod adds a variety of mechanisms, generators and instruments that use the energy! You can use two mechanisms to recycle the metal dust and ingots, which are needed to produce new appliances. The third element is needed to charge your tools. NerdCraft 2 is quite large, but to use it is not complicated! There will be three types. With their help, processed ingots and metal dust and one more device is needed to charge these tools. New power tools are much more efficient than conventional, but harder to make. There are four kinds of generators, they work using different resources. You need to fill them to generate energy. This unit allows you to get the metal dust out of the ingots, it is necessary for the production of ingots. Place the grinder unit with any type of generator. After that, put the chests on each block. Place chests so that they looked in different directions, otherwise it will be a large chest. The grinding mechanism can be rotated with a wrench. 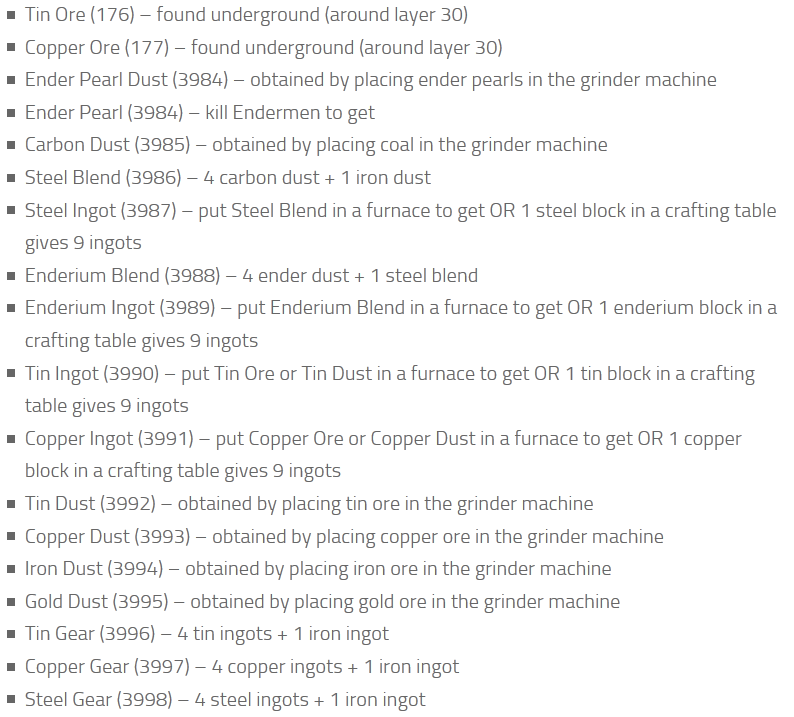 Click on the grinder unit by empty hand to start using it. If we use coal generator, then you put the coal in the chest so that it produces energy. Open the chest (which is located on the grinder unit) and move the ore from which you want to create dust. Take, for example copper ore and placed in the chest. We need this mechanism to transform dust into ingots. We put a table next to the generator (let this be Pyro generator). Click on smelter to turn it on. Open on the generator' chest and put there fire rods, to create energy for the smelter unit. Charging station is needed to transmit the energy to electric instruments. The charging station located close to the generator, as well as other mechanisms. Take the ender generator and put chests (as in the previous examples, the same way). Put the ender pearl in the chest (chest on the generator). Put the power tool in another chest to charge it (chest on the charging station). These tools have increased power, but they are more difficult to manufacture. With the new tool, you will have more opportunities, because they can be used 100 times before the unit breaks down. no es compatible con la 0.14.0!! it is not compatible with 0.14.0! !